Galaxy S Duos GT-S7562 is the new dual SIM smart phone from Samsung looks like a mini version of Galaxy S3, the high end smart phone from Samsung. The slim and sleek design will attract your mind. Samsung Galaxy S Duos GT-S7562 has a brilliant 4 inches (10.16 cm) TFT Capacitive touch screen with 16M colors and 480 x 800 pixels resolution. The smart phone comes with a powerful Standard battery and 5 Mega Pixels main camera with LED Flash. There is also a secondary VGA Camera for video chatting. 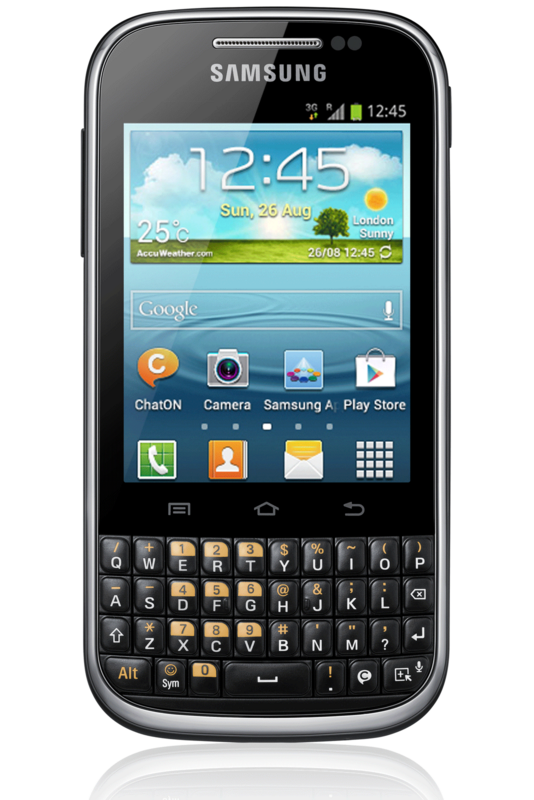 Samsung Galaxy S Duos provides 770 minutes talk time in 2G and 520 minutes in 3G. The handset also provides a sufficient standby time of 570 minutes in 2G and 470 minutes in 3G. 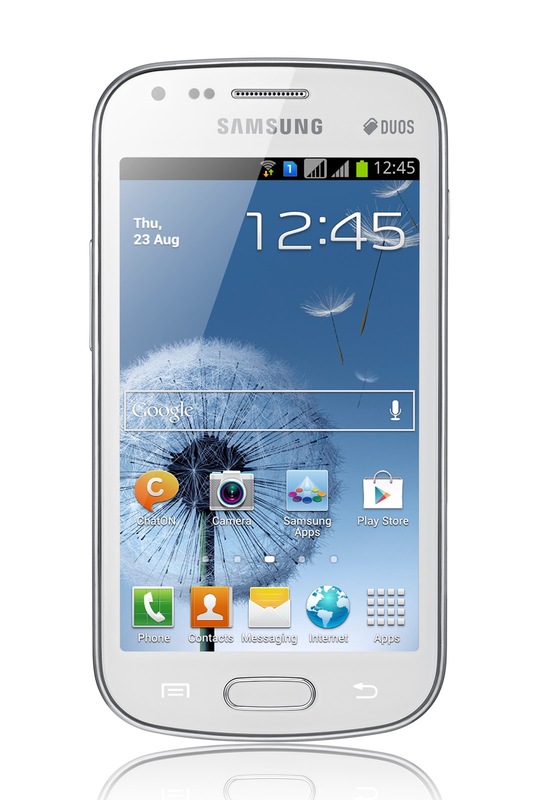 Samsung Galaxy S Duos dual SIM smart phone is powered by 1 GHz single core Cortex-A5 processor with inbuilt graphic acceleration (Adreno 200 GPU). 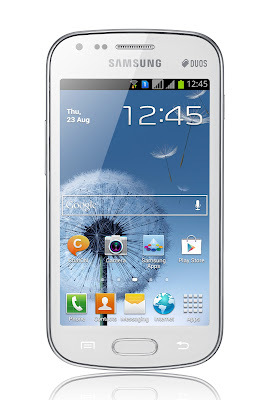 Samsung Galaxy S Duos runs with Google’s most up-to-dated Android 4.0.4 Ice Cream Sandwich (ICS) Operating system which enables the advanced features of connectivity. The smart phone has 756 MB of RAM and 4GB of internal storage. The memory of the device has expandable up to 32 GB via micro SD Cards. Advanced connectivity options like Wi-Fi, Wi-Fi hotspot, stereo Bluetooth 3.0, micro USB port, GPS receiver with A-GPS, 3.5mm audio jack and stereo FM radio with RDS are enable. According to the Samsung web page available a free Bluetooth worth Rs. 1299 with every pre-booking.